There could be those who don’t want you to visit St Peter’s Well at Rossett. 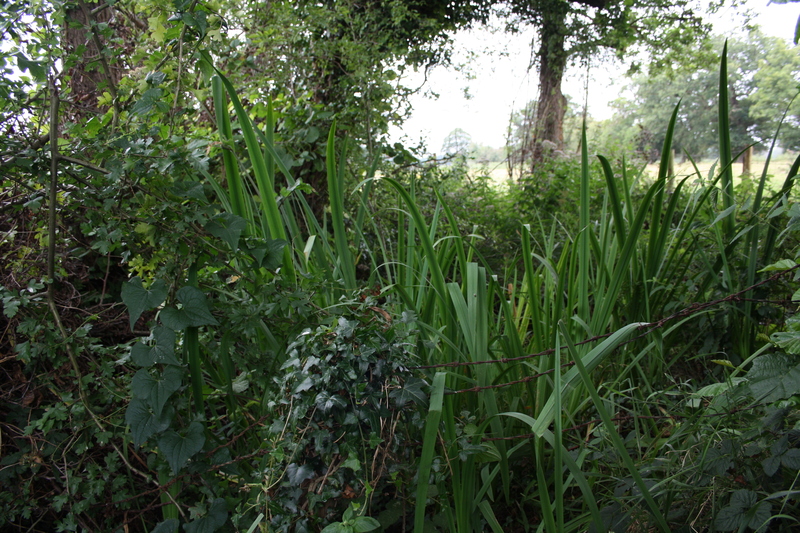 It may not be protected by a strange force field or guarded by a secret society of mysterious albino monks; but the spring is surrounded by lengths of severe rusty old barbed wire half hidden in the undergrowth. The field in which the well lies is further surrounded by an insurmountable barbed wire fence, and the padlocked field gate has similar wire wound around all the cross bars. St Peter’s Well does not welcome visitors these days. The Report of the visit by the CPAT archaelogists in 2011 states “The owner could not be located, and the field access has a locked and barb-wired gate prohibiting entry”. Whatever happened to the Indiana Jones spirit? The coflein record describes St Peter’s chapel well as “450yds North West of chapel, now choked, but spring still flows”. This remains an accurate description. 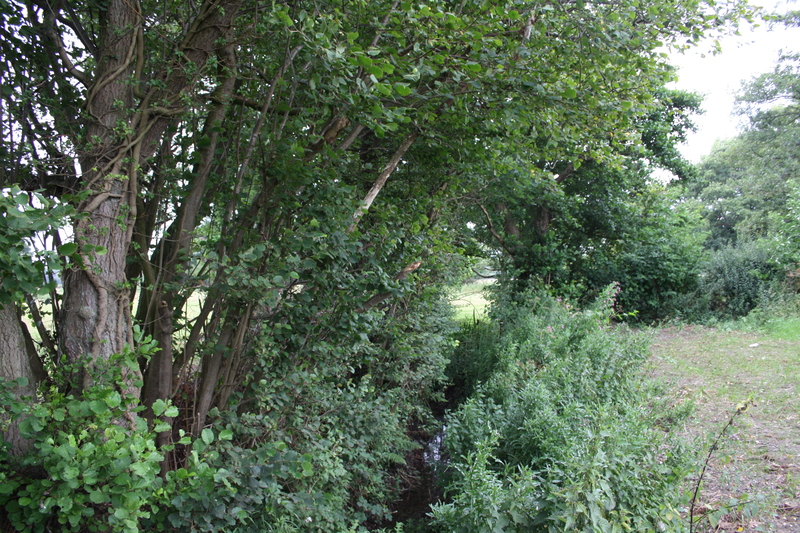 It was impossible to identify the precise spot at which the spring rose in the dense undergrowth; however the water does still flow, and produces a stream which flows along to Llyndir Lane forming the boundary between two fields. Francis Jones records St Peter’s (Ffynnon Bedr) as being – possessed a reputation for the cure of sore eyes and sprained limbs, and was still being visited at the beginning of the present (20th) century. I suspect it is rarely visited for any reason now. CPAT Report 1090 April 2011. See links page for CPAT website.